In the Internet era, it has become increasingly easy for people to gain access to private information without ever leaving their home. This easy access has led to a rise in theft crimes like Identity Theft and Credit Card Theft. 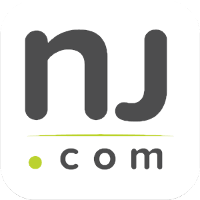 New Jersey law prohibits a person from using someone else’s personal information or financial information for the purpose of assuming their identity. The theft of a person’s credit card or checking account information may be considered Identity Theft if you use the information to derive a financial benefit. The Tormey Law Firm is a criminal defense team that is dedicated to protecting the legal rights of individuals accused of theft crimes in New Jersey. We appear on a daily basis in courtrooms throughout Essex County, including Bloomfield, Caldwell, and Millburn. Additionally, our litigation team includes a former county and municipal prosecutor who understands how the prosecution will think and strategize in your Identity Theft case. Contact the Tormey Law Firm today by calling 201-654-3464. One of our experienced criminal defense lawyers will be happy to speak with you about your case and help you determine the next step. N.J.S.A. 2C:21-17 governs Identity Theft offenses in the State of New Jersey. As set forth by the statute, it is against the law to wrongfully obtain and use another person’s information obtain an economic benefit. One of the most common examples of Identity Theft is when a person uses someone else’s Society Security number to steal their identity. However, Identity Theft isn’t limited to instances in which one person completely assumes another person’s identity; it can also involve something as simple as using a friend’s bank account or credit card to make an online purchase. Impersonating another person or assuming a false identity for the purpose of obtaining a benefit or for the purpose of injuring or defrauding someone. Pretending to be a representative of another person or organization for the purpose of obtaining a benefit or for the purpose of injuring or defrauding someone. Impersonating another person in an oral or written application for services. Obtaining another person’s personal identifying information and using the information in order to assume their identity in order to obtain a benefit or avoid payment of a debt. Impersonating another person or making a false statement when applying for services for the purpose of avoiding payment for the services. Identity Theft is ordinarily classified as a disorderly persons offense. This means that you may be sentenced to up to 6 months in Essex County Jail if you are convicted. 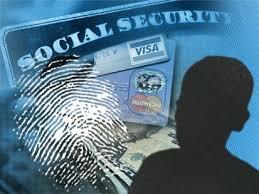 There are also circumstances in which an Identity Theft charge can be elevated to a felony-level offense. Fourth degree Identity Theft carries a potential term of incarceration of up to 18 months in NJ State Prison. You can be charged with this offense if you obtained a benefit or deprived another of a benefit in the amount of $500 or less and the crime involved the identity of just 1 victim. In addition to potential prison time and heavy fines, you may also be required to pay restitution to the victim. This includes any amount needed for the victim to clear their credit history, as well as any costs associated with civil or administrative proceedings to satisfy debts or liens caused by the Identity Theft. Do not take your Identity Theft charges lightly. Call the Tormey Law Firm now at 201-654-3464 to discuss your case with a member of our litigation team. You can also fill out the online contact form to schedule a free consultation at our office in Newark, NJ.